All cuts of meat can be cooked to melt-in-the-mouth, but how do you cook tender meat with all the time in the world, or no time at all? It's all possible with the 'Fast Slow Cooker': a pressure cooker thats also a slow cooker. Layer delicate flavours over many hours for succulent, melt-in-the mouth meals, or achieve the same results in no time when youre under pressure. 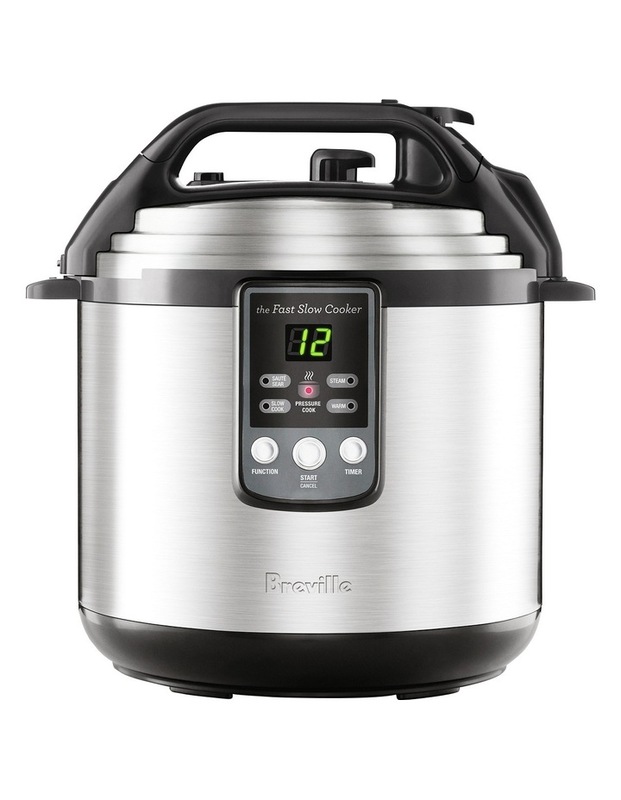 Fully programmable, with integrated safety features so you can set and forget, the 'Fast Slow Cookers' 6 litre capacity is perfect for when friends drop in for dinner.